On Sunday after photographing the South Beach Condo Skyline we went to South Pointe Park to get a sunrise from the beach. 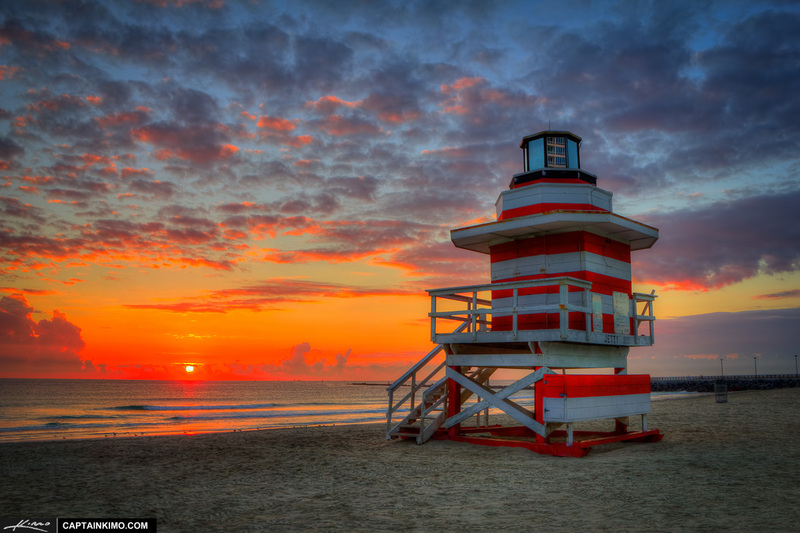 I’ve seen this lifeguard tower many times posted online and I finally had a chance to photograph it during an amazing sunrise. This ended up being a normal three exposure HDR image merged in Photomatix Pro HDR Software and enhanced using Topaz Plugins.